First Impression:I have had hot and cold experiences with Alyson Noel's books in the past. Some I really, really liked. Some I could have just skipped over. The premise of Fated was enough to get me interested, but time would only tell what the final outcome of my feelings would be.While Reading:Fated starts with a lot of backstory. And I mean A LOT. While I am a huge fan of backstory, getting to really know my characters, Fated toes the line of enough information and too much information precariously.Instead of interweaving details as the book progressed, readers are often told about the Native American culture and the book's characters in large chunks. Everything one could possibly want to know about Daire's grandmother, for example, is shared in about two or three pages. While I appreciate Noel giving the information that I crave about these characters, in this instance, I would have preferred to have had the details unravel a bit more slowly. 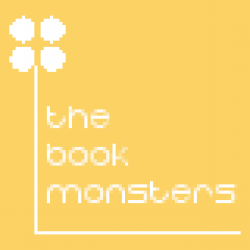 Due to this, throughout the beginning of Fated, I really questioned whether this was the book for me. What initially drove me to the book was the promise of Native American folklore / mythos, and Noel does extremely well in bring this to the forefront of the book, but, at times, the exploration of this premise came across feeling too much like an info-dump.Once readers get over the hump of the beginning, Noel really gets into a stride with Fated. Daire comes into her own, and the plot really begins to thicken. Honestly, I think Daire made this book. Although she and I did not always see eye to eye on many situations, she was the main redeeming quality that kept me going. I wanted to know what she would do next, how things would progress... how the romance would conclude.Final Verdict:Fated is a well set up first book... in places. Despite more than a few flaws, I found myself enjoying Fated more than I thought I would based on the beginning first few chapters. 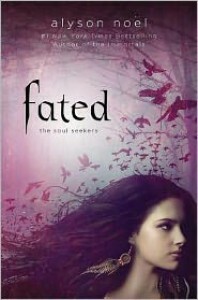 I love when a book can surprise me and Fated definitely did that more than once. Right now, the verdict is still out on me and this series, but I am interested enough to give book two a chance.